Inspired by the lovely bird photography of Kate over at Chronicles of a Country Girl, I decided to tip my toes into this patience-requiring endeavor. 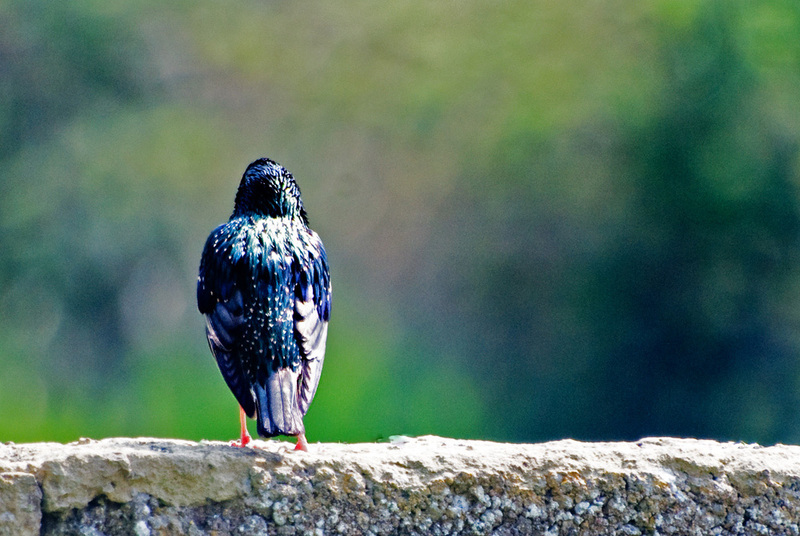 Luckily, when I'm in Ireland, there's no shortage of birds for me to watch, learn about & try to photograph. 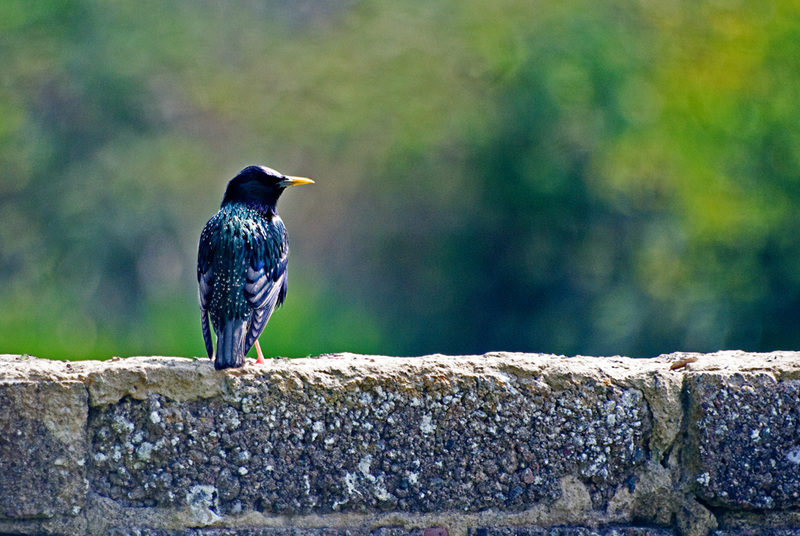 Below are some of my first attempts - I used a 70 - 300 mm lens. 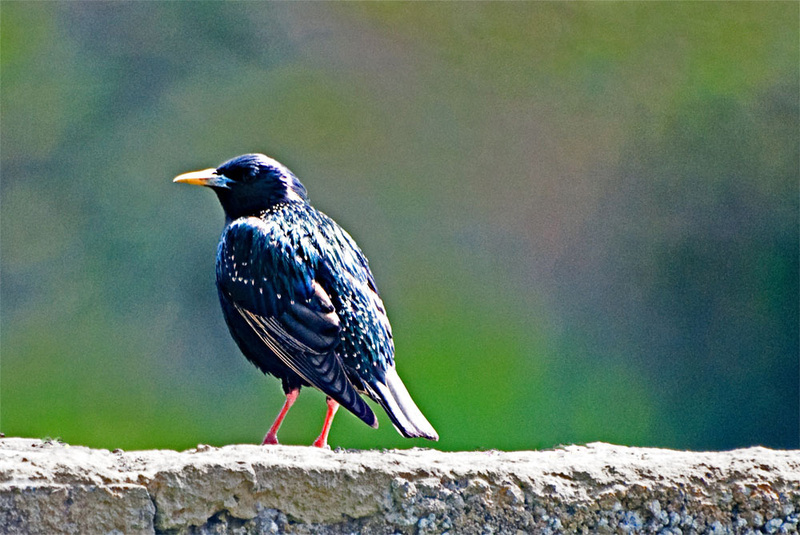 This, for those who might not know, is a starling. I love the cream colored tips of the feathers. I sat for about an hour watching this wall and waiting for the right times to take a photo. The light was a bit harsh, but every few minutes that was changing (this is Ireland, remember). I just can't get over those wings and the tail. I think I'm hooked on this. I could be patient and wait for this. 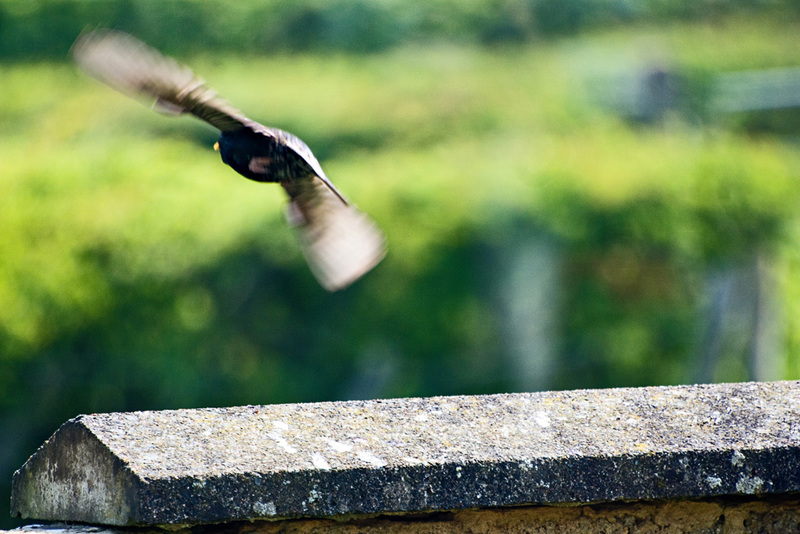 Blurry, but I consider it a win...given that it was my first real attempt at taking photographs of birds. thanks so much, Tom. Encouragement is wonderful. thanks so much for coming by, Catherine...and for your lovely comment!